The Pueo is a local, indigenous owl which represents the Chef"s focus on dinner and serving food until midnight. Pueo's Osteria caters to locals, visitors and serves late to welcome service industry personnel. 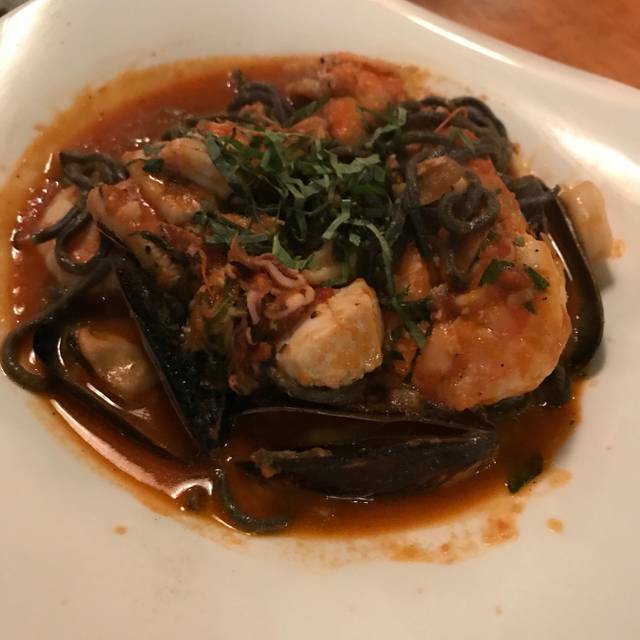 Engaging service, approachable pricing, great flavors and a lively atmosphere await at Pueo’s Osteria – food, wine & fun … where the night owls meet. Good food, although we weren't tpp hingary after a big mid-afternoon fish and lobster sandwich at Kona Fish Grill. Quieter outside in protected patio. Easter dinner. Just wish they opened earlier! Really good spot away from the resorts... reasonable prices. Really good food! We’ll go back for sure. We had a wonderful dinner at Pueo’s last night! 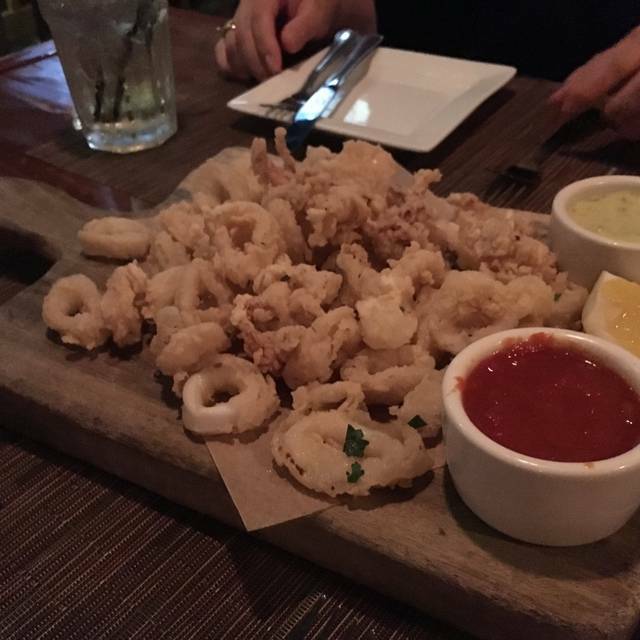 Everything we ordered was delicious (calamari, kale salad, special pasta and pizza + wine), and they even brought steamed green beans for our 10-mo son. The service and food were both truly excellent. Enjoyed dinner with two friends on a busy Monday night - so glad we had reservations. Our appetizers and pizza were delicious! Good service and generous portions. Would definitely return on a future visit to Kona. We were on time and seated immediately. My husband ordered a beer and it was not even cold. We ordered our meals at the same time we ordered salad and soup. The salad and soup were served timely but after waiting over 45 minutes we asked about our entrees. My husband's spaghetti was cold my wild boar dish was partially hot and cold. We will not be going back. Great place to go, food always fresh and creative. Love everything about this place! We’ve been regulars since they opened. We split the short ribs. Great smoked flavor. The tomato soup was to die for. Everytime on the Big Island we enjoy coming to Pueo’s. We love the place, the food, sauce, fruits, desserts & the people. One of the many reasons we want to move to the Big Island. Great service and food selections. They could have more pasta selections without meat. 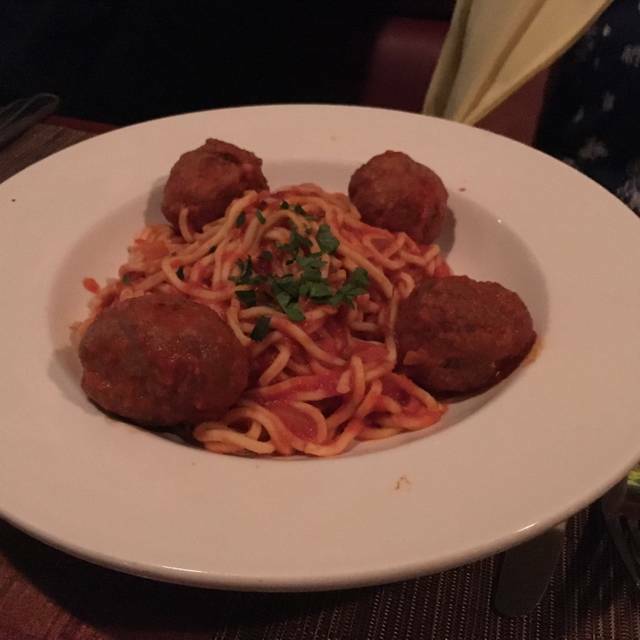 No spaghetti without having meatballs. The noodles are made in house and are excellent. The soup was excellent but overpriced at $12 for the bowl. I am somewhat disappointed to give this review as I love this restaurant. We started with the shrimp appetizer which I did not care for but my wife liked. I had the Stinko (lamb shank) my wife the gnocchi. I throughly enjoyed mine. My wife felt the gnocchi was a bit greasy. It took close to 30 minutes to get our drink order. To the point where I almost called it quits and left. The guys next to us received their drinks after there salads. Hung in there though and really enjoyed my dinner. Must have been a new bartender. Always a great place to eat. Excellent food and service. Live locally, I bring all my out of town guests here for at least one meal. Little spendy for the meals. Great food, great service. 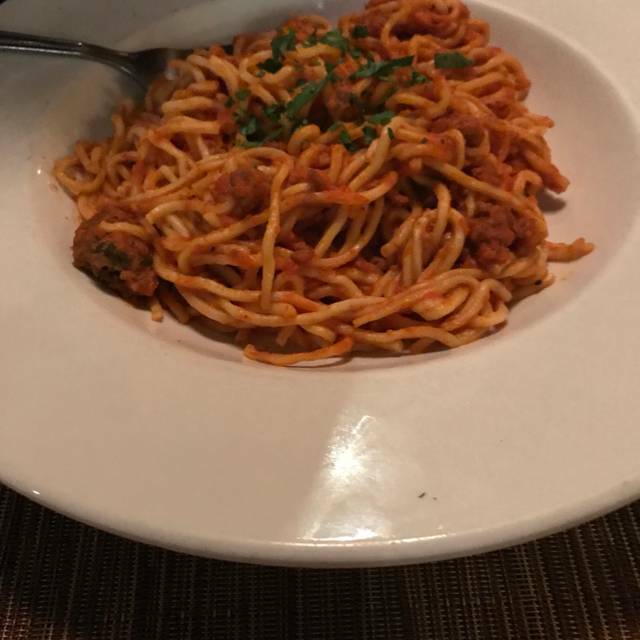 Had the spaghetti and it was awesome! Piping hot and full of flavor. The bread they brought out with the oil and vinegar was really good too. I recommend. Home made noodles are the start. Italian food with an amazing menu. 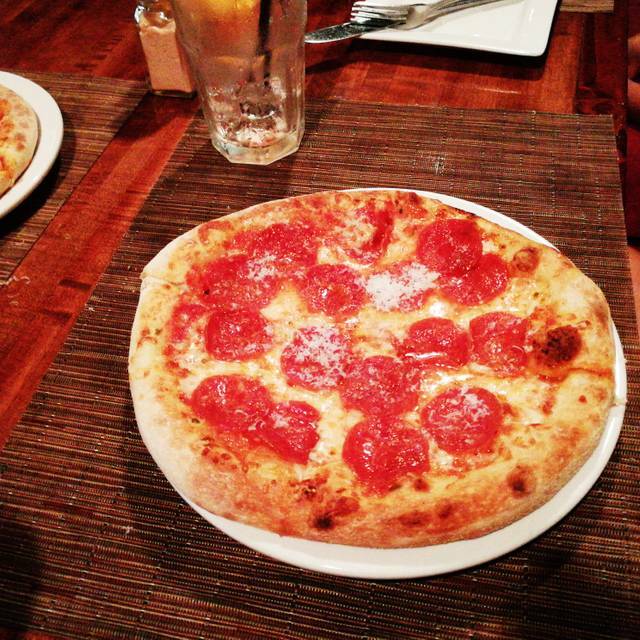 The best Italian food on Hawaii. The food is always exceptional. I love the eggplant Parmesan, caprese salad and the delicious hamakua mushrooms. Connor, our waiter took very good care of us. A a very nice meal. Cocktails were excellent. Server was very friendly and welcoming. Great Italian food! Tough to find in the back of the shopping area but worth it when you get there. Their gluten free pizza was fantastic! Great service too. We loved sitting on the patio to eat - thank you! We have eaten here a number of times over the past 12 years. It has gone downhill, judging from this week's dinner. The order wasn't right and the meat was well-done, even after sending it back to be recooked. Rather than comp the meal, they removed the value of the steak, which we didn't eat. The pasta was fine, but the vegetables (green beans and broccoli) were raw. The food was good but our service was horrendous. We were never told the evenings specials, offered a drink, had our water glasses filled or offered bread. Definitely not worth the drive! 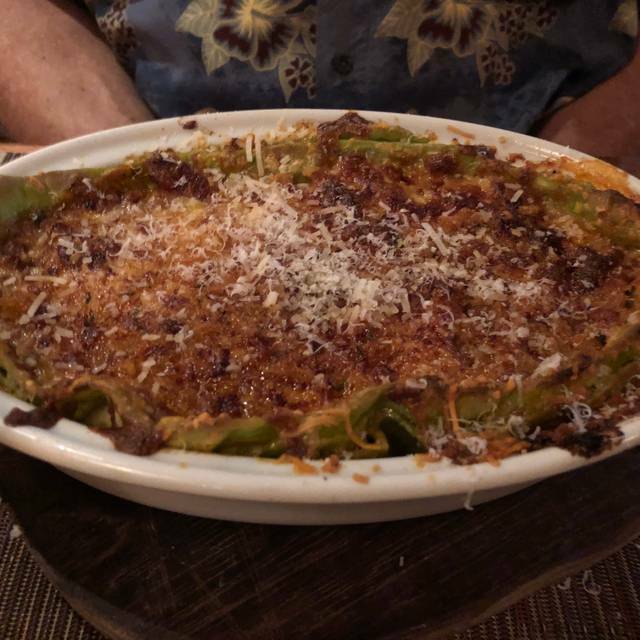 This place is off the radar for our friends who travel to the Big Island, but judging from the crowd the other night the locals certainly know a very good Italian restaurant when they find one. The food is very well done - we particularly enjoyed the lamb shank with perfect saffron risotto and the baked gnocchi with sausage. The caprese salad with pesto and burrata instead of mozzarella was dreamy. The choice of Italian wines was broad and interesting, even by the glass. Looking forward to coming back next year! A great Italian bistro with an island twist. Pueo's food is excellent. Made from scratch and never disappointing. Their meatballs are a gem in their Marinara sauce. Its a lively place for friends and family to gather. 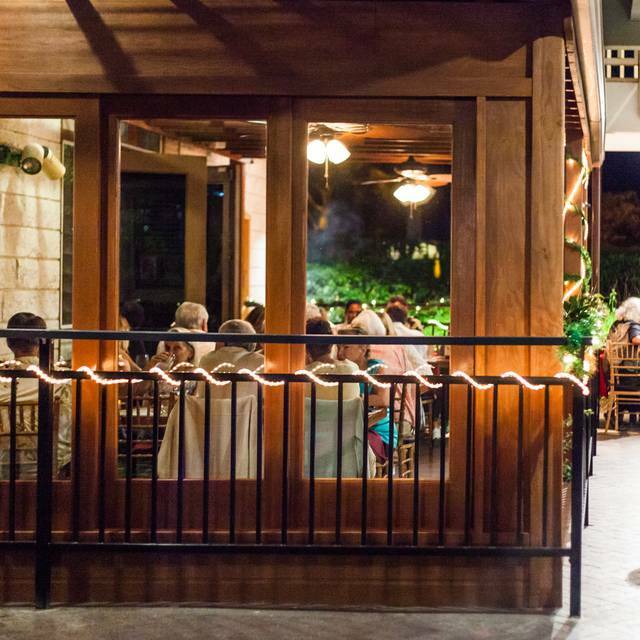 Its always on our list of go-to restaurants when we are in Kona-Kohala . Food was great. Our server Courtney was wonderful. From the moment we were welcomed by the friendly Chandler (she was so great, we asked) until the moment we left, our experience was top notch. It was fun watching the staff work as a team...even saw Chandler helping clear/set tables. Our server, Courtney, was spectacular. The food was excellent, and prepared to meet allergy needs. All in all...a great visit. We will be back. Food was delicious as usual. Courtney was our server and she is excellent. Food was a mixed bag, I bought vegan pizza, as did a friend, and it could have been a frozen pizza out of a box. 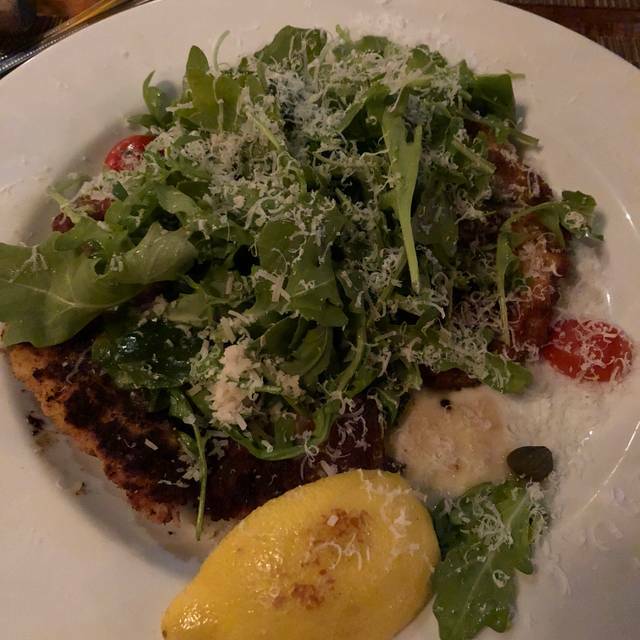 My wife ordered chicken Milanese which was a large portion and delicious. I was married to an Italian, and travelled in Italy many times, and the food is a poor comparison. ,I find that the restaurant is consistently pretentious and over rated. The restaurant was full. Obviously a popular place. It was very loud. Perhaps they could invest in some acoustical treatment to help deaden some of the noise. The server was pleasant. The food was good. Great food! We enjoyed the eggplant and short ribs very much. The food and service was excellent. I will definitely return. This used to be our favorite restaurant on the Big Island, but last nights the menu wasn’t as inspired and the food wasn’t as good as it used to be. Food is also more expensive. $6 for a small bread service is ridiculous. Some dishes were very good, but the pizza missed the mark as did the shirt rub. The beef was dry. My pistachio gelato was horrible. I sent it back and they didn’t charge us. It was full of water crystals and tasted awful. The only good notes, my husband soup was good and the pasta dishes were cooked perfectly. Sad to say I’m not sure we will come back. Love going here! 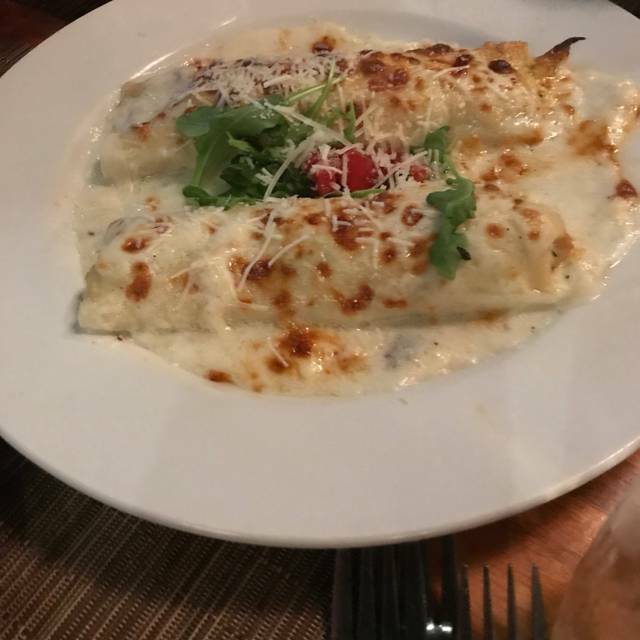 The food is amazingly prepared and we always have great service.